Cranberry is a fruit from a plant found in North America. It is used in several forms, including tea. Each cranberry is full of vitamin C and fiber, both of which are great assets to health. Cranberries are also packed with antioxidants. According to Amy Howell, a researcher from Rutgers University, "Cranberries are among the top foods with proven health benefits." The antioxidants in cranberries protect cells from damage by unstable molecules called free radicals. Free radicals can damage cells and may also contribute to heart disease, cancer, and other diseases. Increasing your vitamin C intake by drinking cranberry tea can help fight these free radicals. 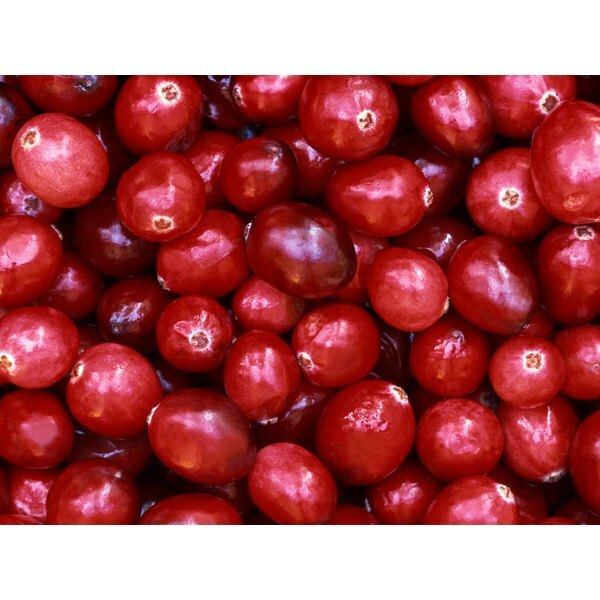 There have been recent studies on the effects of cranberries on urinary tract infections. Although more research is need to confirm this assertion, the National Institute for Complimentary and Alternative Medicine reports that there are a number of small molecules in cranberries that may bind iron. For the bacteria that causes a urinary tract infection to grow, it needs iron. Therefore, the less iron present, the less likely a infection will occur. Drinking cranberry tea may also help contribute to combating dental diseases such as cingivitis. Gingivitis is caused by poor oral hygiene and plaque buildup. Research on cranberries has suggested that the antioxidants in the fruit may reduce the ability of dental plaque to stick to teeth. As with the urinary tract infection research, more research is need to confirm this suggestion. Preliminary research is being conducted on the effects of regular consumption of cranberry tea on stomach cancer, ulcers, cholesterol levels and breast cancers. More research is needed to prove a beneficial effect on any of these diseases. According to MSNBC, "The National Institutes of Health is funding research on the cranberries effects on heart disease, yeast infections, and other conditions." Based in Missouri, Abi Copeland specializes in topics related to parenting and athletics. She holds a Bachelor of Arts in recreation and a Bachelor of Arts in mission studies from Evangel University. Copeland is also a high school basketball coach.